100 Ykk zippers in your color of choice. All 100pcs will be same color. Perfect for pouches and smaller bags! Currently available in 3,4,5,6,7,8,9,10,12,14,16,18,20 and 22 Inches. 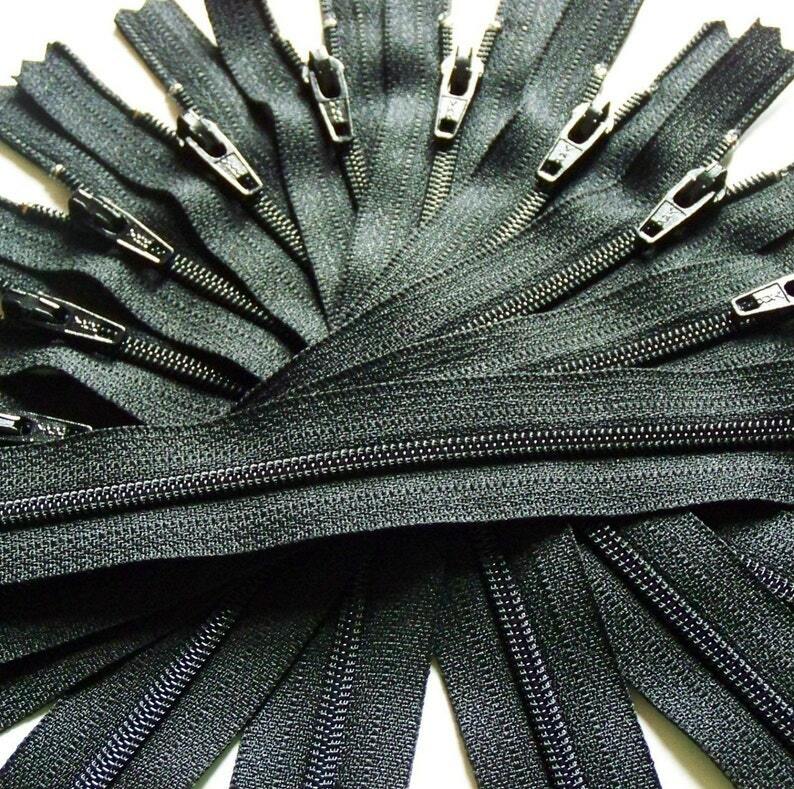 Ykk Brand 3mm nylon coil closed bottom zipper color. Choose color from drop down menu at checkout. The one and only place I will buy zippers. Fast shipping and amazing service.